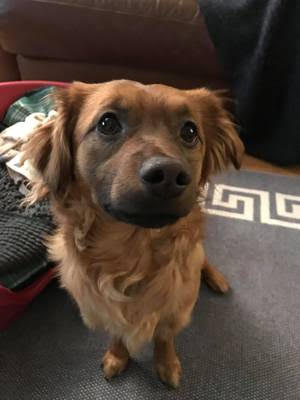 Cody is a 1 year old male Pekingese Cross. This lovely looking lad is Cody, he is a 1 year old male who was rescued from the streets in Bucharest as a puppy. We believe he is a Pekingese mix. Cody is currently in Somerset but needs a new foster or adoption placement urgently. He is good with other dogs in the home and children over 5 but cannot be placed with small furries and although cat friendly he will give chase. Cody can be reactive on lead and needs to go to an experienced home who can provide boundaries and training.